Work for Jewelry Store POS? Learning about Jewelry Store POS? "Shopify simplifies our online sales." Shopify is easy to learn for newbies and has all the major features available at the touch of a button. Tracking customers, products and sales is simple and organized. There will be an occasional glitch not closing an order. Sometimes we can figure out why it didn't close, other times we can't and close it manually. Shopify is fantastic for small business owners. We use it for all our online sales from our website as well as call-in sales. If you have both website and brick and mortar, it would be easy to use the one program for both. 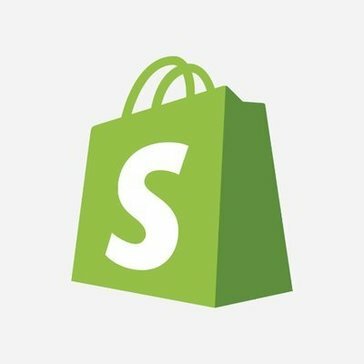 Shopify takes care of our main online store needs. We integrate it with Stitch to track online sales. I like the ease of being able to print packing lists for customers orders or sending them an email with their invoice at the touch of a button. "I used Shopify for for retail POS for a last retailer, Pheel"
What Jewelry Store Management solution do you use? PIRO provides a fully integrated business platform for running a manufacturing shop in-house and moreover, Piro is entirely configurable to meet virtually any production setup and workflow. Diaspark Retail is an On-Premise as well as On-Cloud-based comprehensive and integrated solution for jewelry retailers. It automates every transaction of a retail jeweler's business operation from handling point of sale operations to data capture and reporting. * We monitor all Jewelry Store POS reviews to prevent fraudulent reviews and keep review quality high. We do not post reviews by company employees or direct competitors. Validated reviews require the user to submit a screenshot of the product containing their user ID, in order to verify a user is an actual user of the product. Hi there! Are you looking to implement a solution like Jewelry Store POS?